October is just about over, Halloween is approaching and soon we will have nothing to do but transition into Christmas movies. We say goodbye to Horror Movie Month in a strange fashion with Erik's pick this week. Sega CD seems to come up a lot on this show as a reference of quality so Erik decided to choose the 1992 Sega CD release Night Trap. We know this is not a MOVIE but we viewed it as if it were one anyway. There are a lot of different versions of this on YouTube and you can see the one we watched above. Ryan of Fat Foot Films came on to talk about this his experiences actually playing AND beating this game. Overall it was kind of weird but we somehow managed to cram this in to our format. Happy Halloween! It's STILL Horror Movie Month here and we kept it going with another one of Brittany's picks, the 1987 movie Monster Squad. Special guest Dan comes on to help us discuss this childhood favorite! We continue watching horror movies with Brittany's pick this month, the comedy/horror movie My Boyfriend's Back! We realize that for horror movie month we have been picking things that are horror second and something else first, but hey that's still ok, right? OH WELL! Special guest Tee comes on and helps us talk about this movie and we discuss whether or not this movie's original rating was warranted in contrast to some other movies from the same time period. We have some cool info about the movie too listen up! 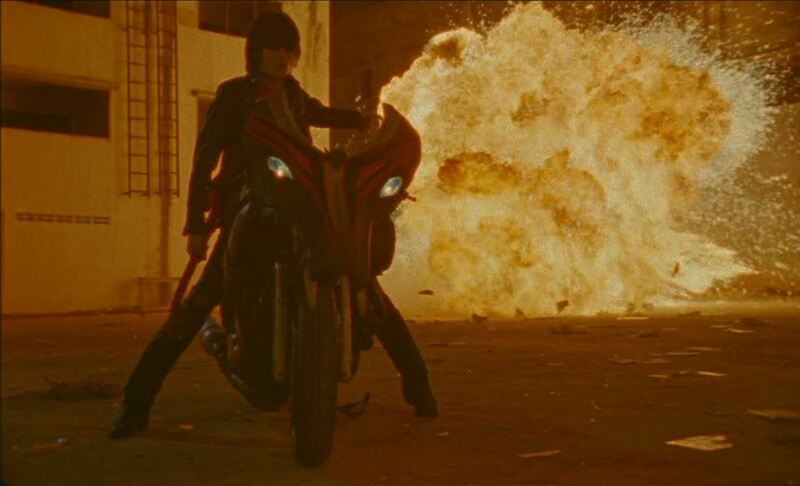 We take in our 50th episode with Erik's pick for our horror movie adventure this month with the Japanese horror/comedy Wild Zero! Yes. We did in fact play along with the drinking game portion of this movie. Our friend Jimmy comes on to help us drink, discuss and debate.